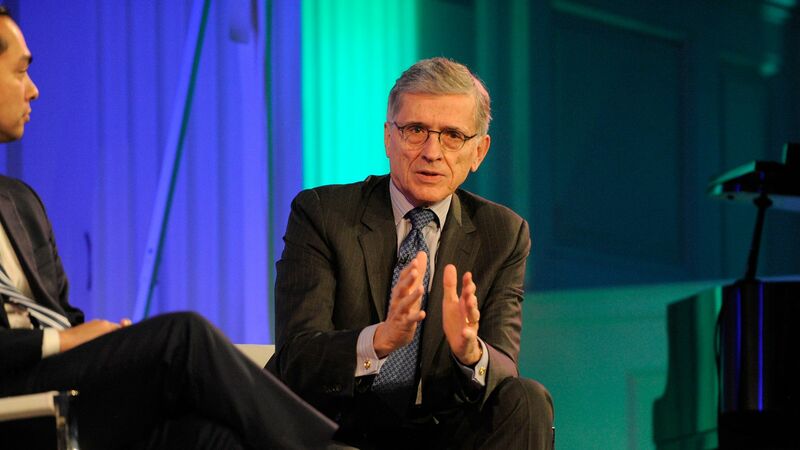 Former FCC Chairman Tom Wheeler says that there was no 2014 cyberattack meant to overwhelm the agency's comment system during the net neutrality debate, as claimed by a former agency IT official in emails recently published by Gizmodo. Why it matters: Many observers took the FCC comment system's problems as a sign of the volume of popular support for net neutrality — so establishing the reasons behind those problems, both in 2014 and in 2017, has become a charged political squabble. The background: The comments process around the more recent net neutrality debate, in 2017, was marked by the system's failure to stay up at a key moment of the debate. The current, Trump-appointed FCC has claimed that the problems were due to a cyberattack, but critics have been skeptical, and finger-pointing has been dizzying. The Gizmodo story says that in 2017, after the agency claimed to have experienced a distributed denial-of-service (DDoS) taking down its comment system, agency IT chief David Bray told the media that there had been a similar attack in 2014 — and that Wheeler had decided to keep the matter quiet for fear of copycat attacks, according to an email published by Gizmodo. The matter was of interest because, in both instances, net neutrality backers noted that traffic after John Oliver segments on the issue had been followed by the comment system going down. "When I was in the greenroom waiting to come in here, I got an email from David Bray, who said 'I never said that you told us not to talk about this and to cover up,' which was the term that got used. Which of course is logical, because as the Gizmodo article that you referenced pointed out, A) FCC officials who were there at the time said it didn’t happen, [and] B) the independent IT contractors that were hired said it didn’t happen. So if it didn’t happen it’s hard to have a cover up for something that didn’t happen." Bray said Wednesday that his reference “the Chairman” in the published email was actually shorthand for the agency’s media relations office. He also maintained in an earlier Medium post that there had been suspicious activity related to the comment system. "I go with the email that I literally just received from David Bray saying I didn’t say it," Wheeler said when pressed on the discrepancy. Editor's Note: Axios managing editor Kim Hart served as FCC press secretary under Wheeler. She was not involved in the assignment or editing of this story.